Blogging Is Adding a Custom Domain To Blogger a Good Decision? Is Adding a Custom Domain To Blogger a Good Decision? Many people starts their blogs on Free Blogspot Sub-domains but later on after some months or years they come to know that they can also use a custom .com domain for their blogs by paying less than $10 dollars for a year. This situation confuses many bloggers that what they should do now? Stay on free blogspot sub-domain or get a custom domain? and will adding a custom domain effect the traffic, Ranking and Page Rank of their blog or not? I also got the same question from many bloggers. so here is my answer to this question. Well adding custom domain may temporary reduce your blog traffic but it will prove to be really useful in the long term. When you will add a custom domain a 301 redirect will be automatically created which will shift Links juice and traffic to your new domain. however you will lose Page Rank of your blog until the next Page Rank update that take place after every few months. you may lost up to 40% traffic temporarily which will come back with time. so the loss will just be temporary. As I said above using custom domain will be useful for you in the long term. World sees .com sites seriously as compared to free sites. it also makes it easy for people to remember your site URL address. it will also give you more search engine traffic in long term. you also have much more chances of getting advertisers if you are using a custom domain instead of free domain. So using custom domain instead of free domain is a good idea specially if your blog is new. Situation is complicated for those however who are having a old blog on free sub-domain with handsome amount of traffic and good Search Engine Ranking. What About Old Blogspot Blogs With Good Ranking and Traffic? If your blog is really old like 3,4 years and getting handsome traffic then i will not suggest you to shift to custom domain. stay with free sub-domain and keep working on your blog in such case. still if you will shift then it will impact your Ranking traffic for few months but you will bounce back specially if you do regular posting during this period. you will also have to do some work on SEO as well. but you will have to be ready for loss in Traffic, Ranking and Page Rank for few months at least. How to add a Custom domain to Blogger? To add a custom domain to your blog first buy a domain then go to Settings option. now click add a custom domain option. now enter the domain name with WWW and click save. now you will get the DNS Settings that you have to enter in CNAMEs settings of your domain panel. This is how you can set a custom domain on your blog. 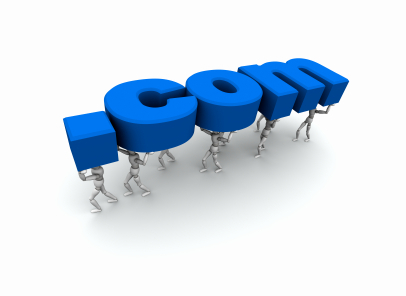 Domains are available on cheap rates from $5 to $10 a year.